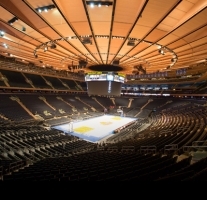 Madison Square Garden in New York - tickets to New York Rangers, Katy Perry, Harry Styles..
One of New York's most famous arena for sporting events as basketball and hockey but also as a concert arena for all the big stars. Catch a concert at the Garden! 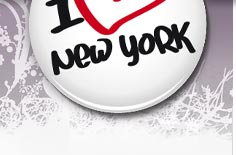 Be sure to check for any artist that you would like to see in New York when you are there and buy your ticket so you know get a seat. Will perform at Madison Square Garden! Today's Madison Square Garden is located on top of Penn Station and opened on February 11, 1968. It was when Penn Station demolished their buildings above ground and built down the railways under the ground that it become the place for the 4th Madison Square arena. There were major protests by New York residents when the lovely buildings where torn down. The Garden today is as said the 4th arena with the same name. It´s name it got from the first arena, situated at Madison Avenue and was named after the park - Madison Square Garden. The park itself was named after the US's fourth president James Madison. So even though the stadium has moved several times the name has followed. Visit the Worlds most famous arena! Madison Square Garden is probably the world's most famous arena. Now you have the opportunity to go around on a tour. The MSG All Access Tour is a walking tour that allows you to discover exclusive VIP areas of the famous arena. 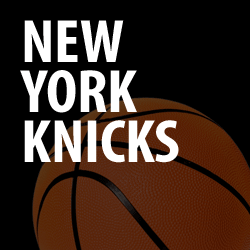 If you are a sports fan, one of the highlights of the tour will be visiting the locker rooms of the Rangers hockey team and Knicks basketball team. More tickets to Madison Square Garden! December 19, 1969 was Janis Joplin's last concert at the Garden. Janis died Oct. 4, 1970 and she was only 27 years old. She is one of the 60´ss best-known songwriter and singer. She became famous with songs such as "Mercedes Benz" and "Me and Bobby McGee". Rolling Stones (1970) - 1969 North American Tour. Frank Sinatra (1974) - with the show"The Main Event" broadcasted all over the world. KISS (1977) - the year when KISS debut at the Garden. They have since returned on several occasions. QUEEN (1977) - QUEEN also debuting at the Garden this year. Pink Floyd (1977) - performed 4 sold out evenings. Bob Marley took his reggae music to the US and Madison Square Garden in 1978. 1980, he was back for two concerts. After his concerts Bob Marley collapsed after a run in Central Park. He had suffered from cancer since 1977. Bob Marley died on May 11 1981. Barbra Streisand (1994) - 6 shows and recorded her live album "The Concert" here. Spice Girls (1998) - all tickets for the concert were sold out of 12 minutes. Bruce Springsteen (2000) - performed 10 sold out nights. Madonna (2001) - once again she performed sold out nights. Billy Joel (2006) - he beat Bruce Springsteens record with 12 sold out nights. Elton John (2007) - Elton celebrates his 60th birthday at Madison Square Garden. Iron Maiden (2008) - sold out every night. Britney Spears (2009) - sold out 3 nights in a row. Rammstein (2010) - Liebe ist für alle da Tour - tickets sold out in less than 30 minutes. Lady Gaga (2011) - Monster Ball tour. Popular events in Madison Square Garden!